Are you planning a holiday in South Island, New Zealand? If you are, why not try and get the very best out of your holiday by considering a campervan holiday? You can arrange to collect your Christchurch airport campervan hire and be ready to start your adventure holiday in minutes. There is just so much to see in this beautiful part of the world, and being able to stay in a different location every night without living out of a suitcase is one of the biggest perks of a campervan rental, recreational vehicle (RV) hire or motorhome rental from Christchurch airport. If you are travelling with children; a campervan hire is an ideal option for a budget-friendly holiday and children just love the novelty of living in a campervan. There is also room for them to stretch out and play on longer journeys; so less of the “are we there yet?” complaints! Even if you have never camped or caravanned before; there is no need to be anxious about a Christchurch Airport motorhome rental. The staff at your chosen campervan rental offices at Christchurch airport know all there is to know about driving, parking and enjoying this fun type of holiday and will give you all the instructions and advice you need before you leave – some even have a DVD that you can take along to remind you how everything works! There are several campervan rental offices at Christchurch airport including Britz Campervans, Maui Motorhomes and Apollo Motorhome rentals. You can choose anything from an ultra-economical campervan for two, to a large and luxurious home on wheels for 6 or 7 people. All have fridges and everything you need for cooking, and the more luxurious vehicles have toilets, showers, TV and even DVD players; so you need not miss your home comforts. New Zealand has dozens of excellent holiday parks where you stay each night. Book your powered sites at New Zealand Holiday Parks before you leave, either as a set itinerary or by using open dated vouchers. A great way to meet some locals, who can give you insider info on places to go and see that may not be in your guidebook. Where to go in your Campervan Hire from Christchurch Airport? 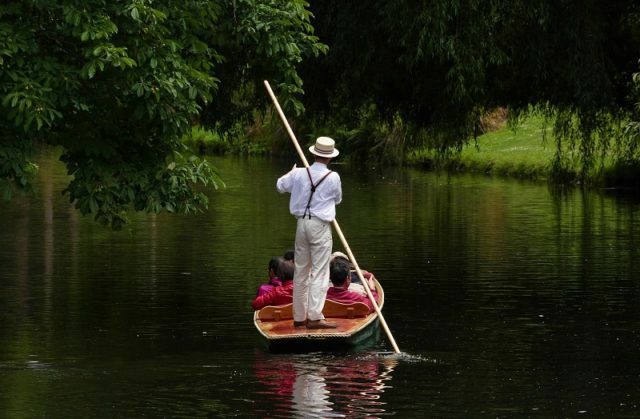 Christchurch is very centrally positioned on South Island and you have the option of many interesting routes. Depending on the time you have available; you could drive your Christchurch Airport campervan hire almost all around this magnificent country; try heading north to Nelson, or even cross over to Wellington and beyond; you can drive your campervan onto a ferry to get to North Island! 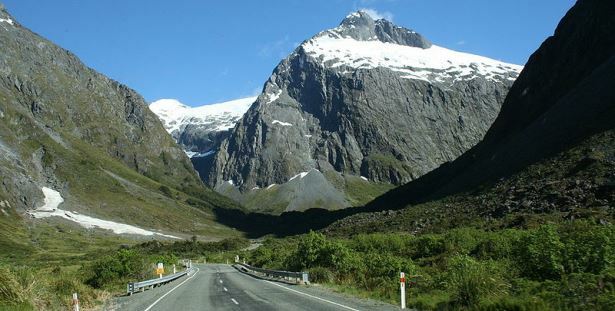 You can drive all the way south to Queenstown and the awe-inspiring scenery of Milford Sound. Wherever you go in New Zealand you will be amazed and enchanted by the wonderful natural beauty; and you can stop and admire it as long as you wish in your campervan hire. It is even possible to tour the entire country, starting with your pickup at Christchurch airport, and ending with a drop-off in Auckland, North Island.